This is Hank’s favorite cake!! And like most cakes—it is even better the next day. Lime zest and a tangy lime-juice glaze add zip to the sweet flavor of fresh blueberries in this moist, tender pound cake. The cream cheese is an unusual ingredient for pound cake, but it lends the typically springy crumb an exceptional richness and tenderness and helps the cake stay moist and fresh for several days. TIP: Be sure to use room-temperature berries. Cold fruit straight from the refrigerator will prevent your dessert from baking evenly. Position a rack in the center of the oven and heat the oven to 350°F. Butter and flour a 12-cup Bundt pan. With a stand mixer fitted with the paddle attachment or a hand mixer, beat the butter and cream cheese in a large bowl on medium speed until smooth, about 1 minute. Add the sugar mixture and beat on medium until light and fluffy, 1 to 2 minutes. With the mixer still running, add the whole eggs one at a time, mixing well after each addition and stopping the mixer to scrape the bowl twice. Beat in the egg yolk. Reduce the mixer speed to low and slowly add the flour mixture. Stop the mixer one last time to scrape the bowl and then beat at medium speed until the batter is smooth and light, about 20 seconds. 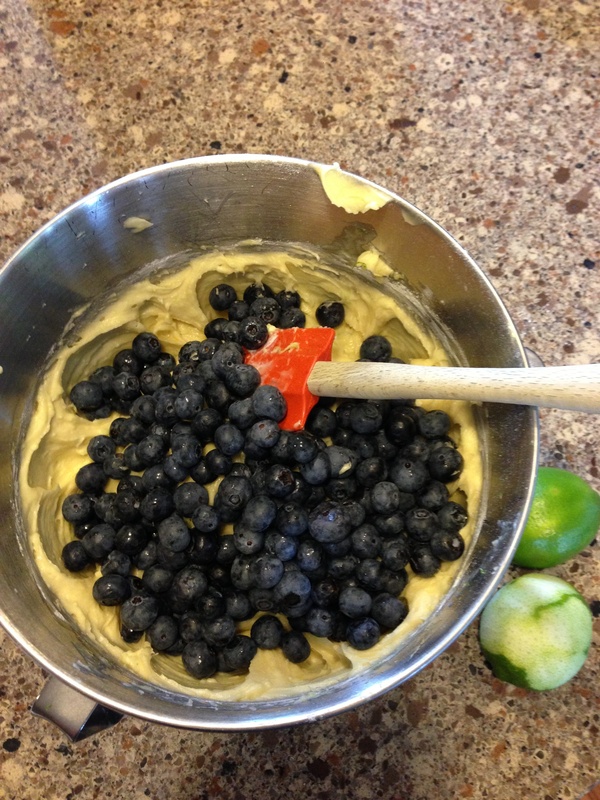 With a rubber spatula, gently fold the blueberries into the batter. Transfer the batter to the prepared pan, spreading it evenly with the spatula. Run a knife through the batter or tap the pan lightly against the counter to eliminate any air pockets. Bake until a wooden skewer inserted in the center comes out clean, 50 to 55 minutes. Set the pan on a wire rack to cool for 10 minutes and then invert onto the rack, remove the pan, and let cool completely. Glaze the cake: In a spouted measuring cup or bowl, whisk the confectioners’ sugar and lime juice together until smooth. The glaze should be thin enough to pour. If not, add more lime juice, 1 tsp. at a time. 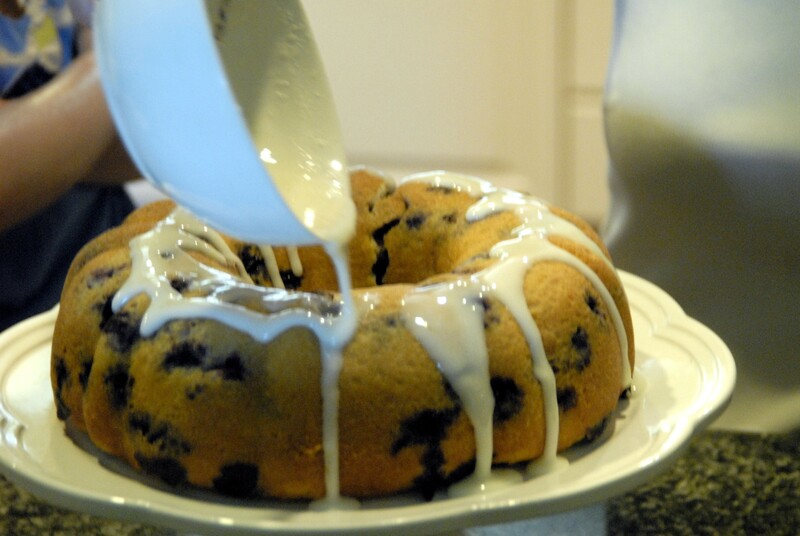 Put a baking sheet under the rack to catch drips and drizzle the glaze over the top and sides of the cake. Let the glaze set fully before transferring to a cake plate and serving.